A Festive Battle For Humanity....Or Is It? If you are a person that watches many movies you have most likely watched the classic Will Smith and Jeff Goldblum movie that this game is based on. So how does the game stack up against the movie? Lets find out! Despite being a game based on a movie there's not much of the story told in this game, which is very unfortunate and what's worse the few fmv sequences in the game suffer from really poor picture quality. The gameplay is mainly an aerial combat game and as much as I hate to admit this, the controls are very loose and unresponsive and the ally A.I. is really dumb. The difficulty of the game can be excruciating due to poor controls and the poor A.I. . The most aggravating thing is when a missile hits the target, but somehow goes straight through the enemy. 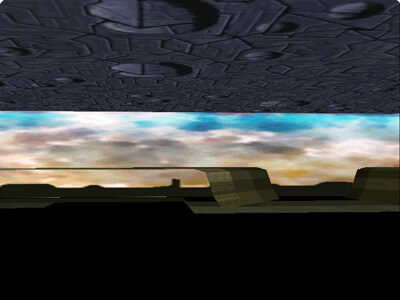 As I already pointed out earlier in my review, for a game based on a movie the graphics are nothing short of abyssmal, with some of the worst fmv clips and textures ever seen on the PS1 home console. The special effects during a few scenes are mildly good looking, but even those moments still fall flat. The soundtrack is possibly the only redeeming quality this game has and is very nicely orchestrated, but the lame sound effects, and very off putting voice acting hurts even the game's only asset. With shoddy controls, frustrating gameplay, and poor visuals this game is a serious disappointment to fans of the movie. The only positive thing about this game is its soundtrack and even that is hampered by the lame sound effects and off-puting voice acting. This review needs to have pics added and be changed to the new review format. Please edit this ASAP because it's a special holiday review. I added the pics, but can't format the review with my Android netpad laptop. At least the movie is good! Nice review. 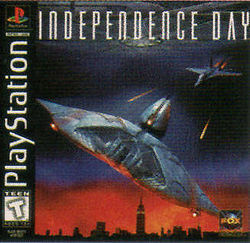 I remember playing this game back during the PSone era and yep everthing you mentioned is why I took back the game to Blockbuster the next day. Of course there arent too many good movie based games out there. Trivia: ID4 was originally a sequel to the movie Stargate but when Kurt Russel and James Spader passed on it Will Smith and Jeff Goldblum took over the parts and the writers rewrote the story to make it its own movie. I agree this game is a real stinker. lol! I'm not surprised that this game isn't good. I love the movie though. This game was such a disappointment even at $5. My advice is don't waste your time with this poorly developed game. I still think this is the best Alien Invasion movie EVER!!!!! The movie is one of my all-time favorites, but the game is quite bad.